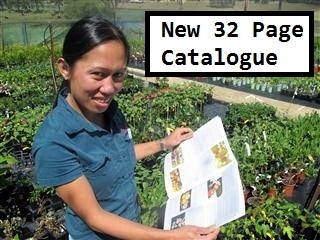 Welcome to our Online Nursery where you will find the most exotic Fruit Trees and Rainforest Plants in Australia for your garden or orchard. Start by selecting a category such as Subtropical Fruits in the left menu. 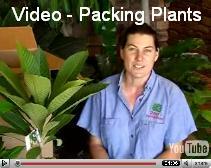 To receive an email when fresh plants arrive you can do a plant search or see the Fruit & Nut Tree or Rainforest sections. Please read our FAQ page and Testimonials. For extra ordering info see our How to Order section. Daleys fruit tree nursery would like to thank you for your interest in our wide selection of trees and plants and wish you fruitful growing.